At Gateway Outdoors, we are very passionate about our local environment and the opportunities it holds. So, we have put together a few activities that show case our ‘quiet shire’! 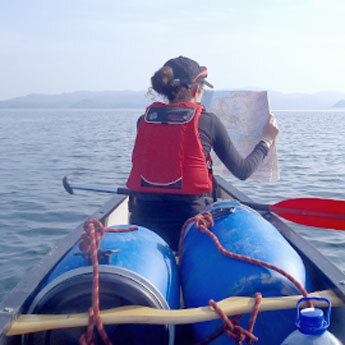 These are standalone half day activities, or you can bolt them together to have a full day or weekend of Adventure. 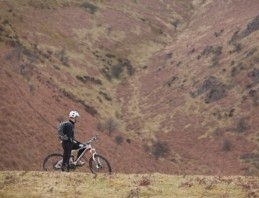 To find out more about Shropshire Adventures visit the website. 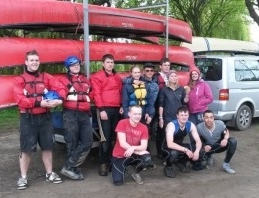 Overnight Canoe trip into Shrewsbury, with exclusive ‘luxury’ camping site for you and your group. 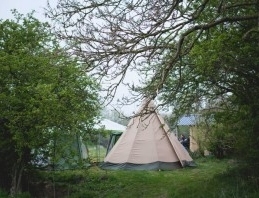 Two day canoe trip with overnight stay in the tipi’s, have a fire and BBQ with your team, knowing no-one will be past to disturb you. 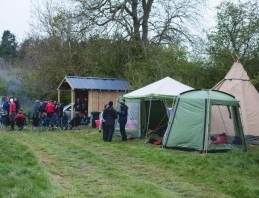 The campsite is set on private land which we have sole use of, we will deliver your overnight equipment and food to the campsite, allowing you to paddle to the campsite and find your things waiting for you. You then just get on and enjoy your stay! The tipi provides shelter whatever the weather, and the outdoor kitchen allows you to organise your food with ease and without fuss. 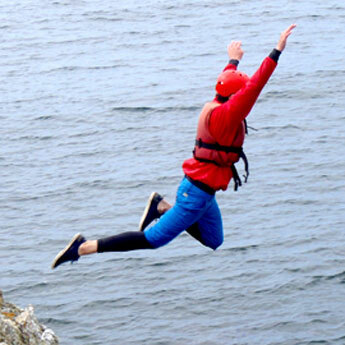 You can bolt onto your activity another half day adventure, like climbing or abseiling so that your time is full to the brim with activity. 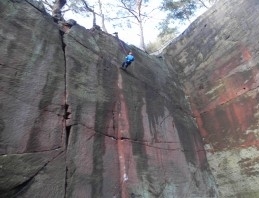 Explore some of Shropshire’s hidden corners and try your head for heights with the 45 meter abseil and / or Learn how to climb with a half day or full day of tuition. We don’t have a huge variety of rock climbing venues here in Shropshire, but we do have some beautiful locations with good rock. This combination can put you in a brilliant situation with some views which are otherwise hard to come by! Or sessions are for group sizes of 8 per instructor, we charge a set price for our time so you can bring all 8 for the time avail or have more input and our attention to yourself if you are keen to learn. Who would have thought? 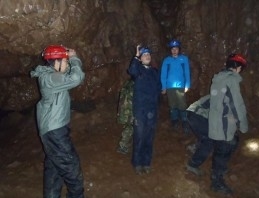 Caves in Shropshire! 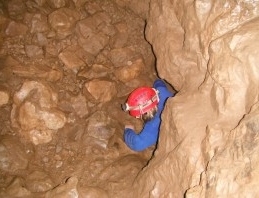 Well we don’t really have much claim to extravagant caves, more mines. There are a couple of itineraries, which we use to augment / add extra to our day if we climb in the area or the weather turns against us! These are not continual tight squeezes under water or technical rope ascents. 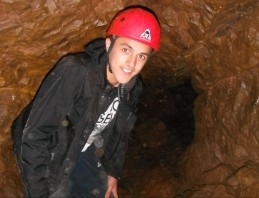 You can walk in to these caves, and whilst you may have to ‘duck’ on occasion that can be the extent of it if you choose, there is of course a ‘challenge’ should you wish! £175 for 10 people, this will take approx. 2 hours if done as a standalone activity! 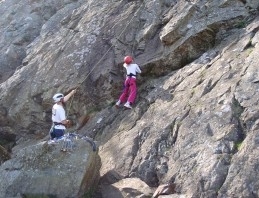 But best done with a few hours rock climbing before £250 for a full day. 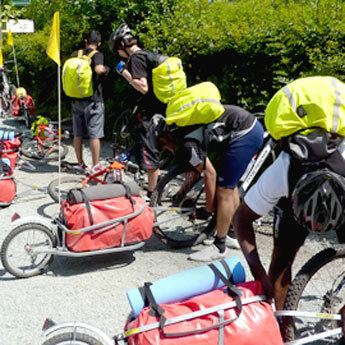 Shropshire has been an upcoming venue for Mountain Bikers for a few years now, we are also seeing a large increase in road bikers also. We have had the privilege and pleasure to have been riding both Mountain and Road bikes, personally and professionally for 20 years. 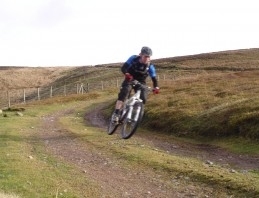 So, we have a huge range of locations known to us to suit your type / style of riding. 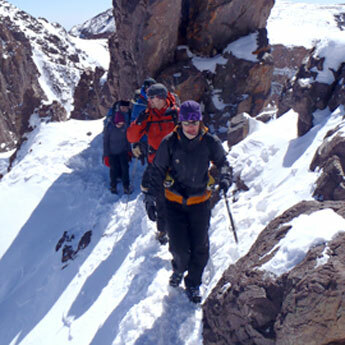 Full package; if there you are part of a group, we can organise accommodation, guiding, equipment and food. Just get in touch to let us know what you would like. Prices start from £50 per person per day.